The founding of British colonies and the development of a colony. Students examine significant events and people, political and economic developments, social structures, and settlement patterns. What were significant events and who were the significant people that shaped Australian colonies? By the 1830s and 1840s Australia was receiving an increasing number of free settlers (as opposed to convicts) but there was still a huge labour shortage. People on farms needed labourers to clear the land, plant crops and take care of animals. The expanding settlement meant that convict labour was not sufficient. Employers were forced to increase the wages they offered to workers in order to compete for their labour. The preferred solution was to encourage more free settlers. Convicts were seen as a bad moral influence and many people wanted the transportation system to stop rather than have more convicts in the workforce. However, a voyage to British North America or the United States of America was much more attractive to most British migrants. It was a shorter trip of twenty or more days compared to two or more months to get to Australia. Also, a ticket to Australia cost four times as much as a ticket to North America. The Australian colonial government decided that the best way to encourage migrants to come here was to pay for the tickets of eligible applicants. Because unemployment was high in Britain many did choose to come, but it was not an easy voyage. The death rate of children on board migrant ships was high because of the cramped and unhealthy conditions. These people were not used to living, cooking and cleaning all together while being tossed by storms or baked in the heat. Often when migrants finally arrived here they were taken advantage of by people who would rob them or take their money on pretence of getting them accommodation or employment. The situation was especially bad during the depression of the 1840s. In 1838 Caroline Chisholm arrived in New South Wales with her husband and children. She soon became horrified by the desperate situation of single migrant women who were exploited when they first arrived. Caroline Chisholm decided to help them. She persuaded Governor Gipps to provide accommodation in a ‘Female Immigrants’ Home’. She then decided to organise appropriate work for these girls and started the first free employment agency. Because potential employers in the bush found it difficult to come to the city, Caroline Chisholm took groups of women and girls by wagon and boat into country regions where they quickly found well-paid positions. By 1846, when she returned to England, she had helped eleven thousand people to find jobs or settle as farmers in New South Wales. In England she continued to publicise and work for improved emigration to Australia. She returned to Australia in 1854 and continued her philanthropic work, but due to ill health she left for England in 1866 and died there in 1877. Students examine a poster created to encourage women to emigrate to Australia and discuss reasons why women migrated, and why the colonial government encouraged them to migrate to the NSW colony. Students read a diary transcript about the journey and examine a watercolour painting depicting a family on the deck of the ship, and sketches of a passenger trying to dress on a rolling ship. They then answer questions. Students assume the perspective of a person arriving in Sydney Cove in 1853. Students investigate the history of the Hyde Park Barracks on Macquarie Street, Sydney. Students research the contribution Caroline Chisholm made to society through her work. The activities are designed to introduce students to a variety of image types as historical records of people, places and events in the past. 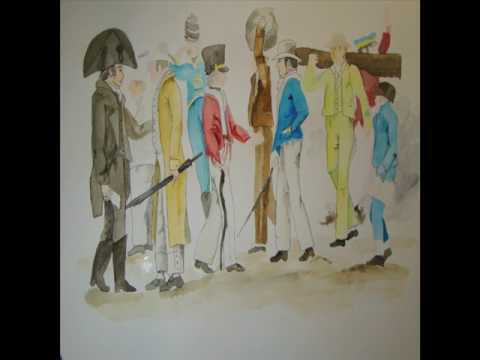 Students use watercolour paintings, sketches and written sources to ask historical questions about the past. Students examine images from the State Library of NSW to investigate the experiences of people who migrated to Australia is the 1800s during and after the journey.